Last year, the Baltimore City Liquor Board was hit with an audit by the state that slammed the agency for lacking written policies, poor-performing inspectors and failing to enforce the law regarding when a liquor license should be considered dead. Now a court document charges that what frequently drove board actions regarding dead licenses and other high-stakes matters was politics and influence. 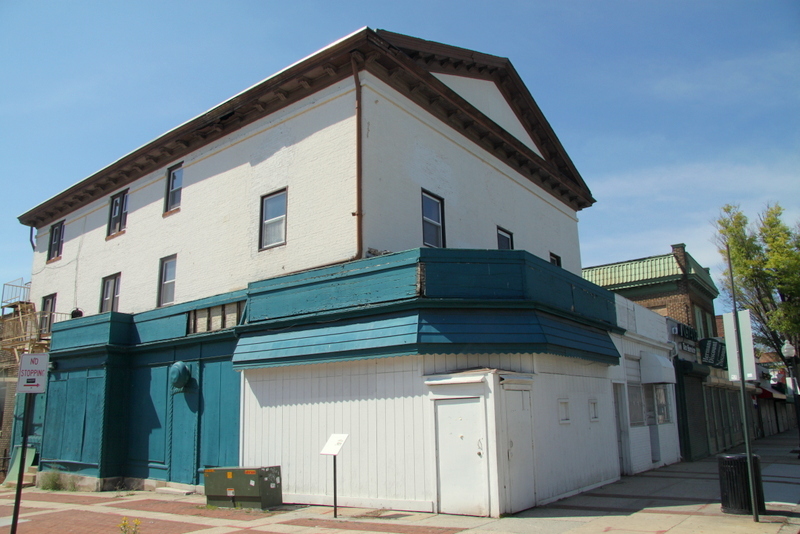 The allegations were made in a sworn affidavit by the board’s former executive secretary Samuel T. Daniels, Jr., and filed in Baltimore City Circuit Court on April 19 as part of a lawsuit against the board contesting its 2008 decision finding that the license for the Northside Bar, at 3100 Greenmount Avenue, was dead. “Based on my first-hand observation of the routine practices of the Board during the time that Stephan Fogleman was chairman of the Board, in the cases in which there was community and/or political interest in the outcome of a matter, those interests always superseded the merits of the matter,” Daniels says in the four-page document. Daniels has been a fixture at the agency for decades, starting as an inspector in 1987, becoming chief inspector in 1999 and promoted to executive secretary in 2006. He left the board last July and has been acting as a consultant to licensees, appearing before the board on behalf of restaurants and bars. 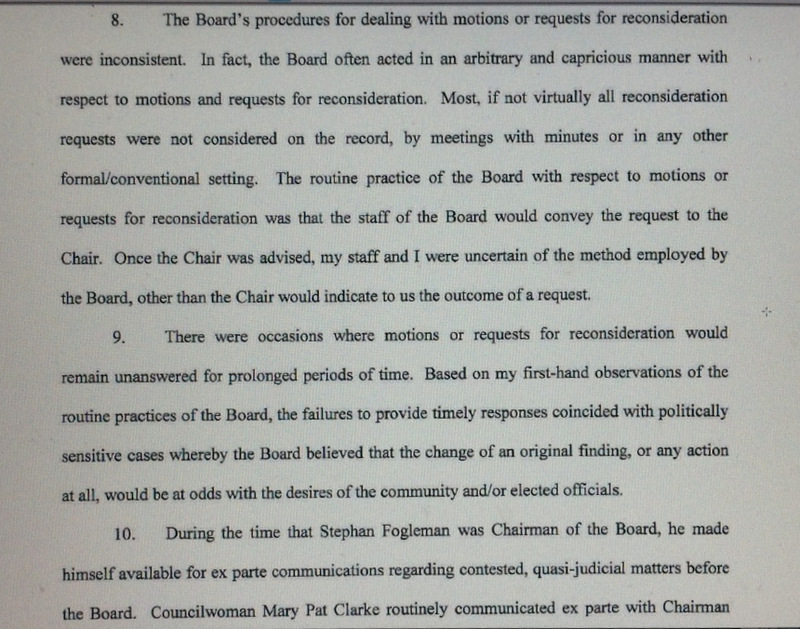 He says that Councilwoman Mary Pat Clarke “routinely” communicated with Fogleman on such matters. Fogleman, who left the board earlier this month to become an Orphans Court judge, declined to answer questions about the affidavit, saying he didn’t want to comment on pending litigation. Reached by phone, he referred The Brew to board attorney Alice G. Pinderhughes, who picked up on her cell phone but has not called back with any comment. The charges come tangled with potential score-settling from an agency insider who has made them before and who denied, upon leaving the agency last year, that he was pushed out as part of an effort to correct audit problems. The affidavit also comes as part of a convoluted legal snarl over 3100 Greenmount and a decade-long community war waged against the establishment, the Northside. “On many evenings, and throughout the night, the patrons would cause great disruption, partying, pre-partying in their cars,” said Bonnie Bessor, president of the Abell Improvement Association, recounting shootings and other incidents at the establishment that is near her home. An excerpt from the four-page affidavit filed by Sam Daniels. But “if it hadn’t been such a blight,” Clarke said, “the neighborhood wouldn’t have pushed” the board to enforce the 180-day rule. The bar closed in 2008. One-time owner and now secured creditor for the building, Robert D. Williams, was not the licensee running the bar and said he was not responsible for the problems. But in hopes of getting the license back, he has persistently fought the dead-license ruling, saying that he has evidence the bar was open late enough to have allowed it to remain valid. “I went in there and I found receipts showing all these deliveries,” said Williams, who says the board “lost” documents related to his request for a hardship extension, failed to inform him of relevant information on the case and otherwise acted improperly under pressure from the community. Appealing without success up to the Maryland Court of Appeals, Williams Realty and Robert D. Williams plead its case in Circuit Court this month. The motion included a remark Sam Daniels’ made to Williams, his attorney, H. Mark Stichel, and to another man in August 2012 during a meeting at the Liquor Board office. “Politics, not the facts before the Board” was behind the finding that the hardship extension request came in too late, Daniels had said. The Circuit Court dismissed Williams’ motion, but last week Stichel filed on his behalf a motion for reconsideration, citing Daniels’ affidavit (which includes the remark). The murkier aspects of the case aside, Daniels’ allegations seem to buttress longstanding complaints from community groups and their advocates about lax, uneven and prejudicial Liquor Board decisions. “The board often acted in an arbitrary and capricious manner with respect to motions and requests for reconsideration,” Daniels said in his affidavit. 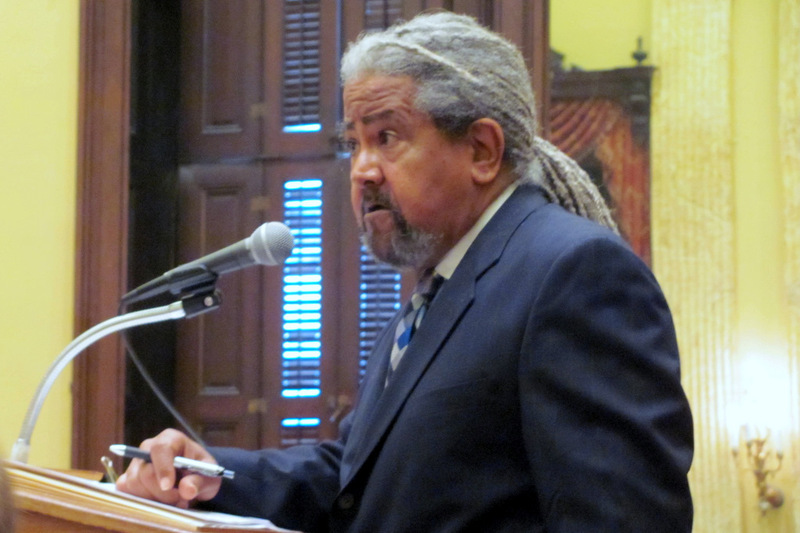 Questioned by The Brew regarding Bill’s Cafe, a trouble-plagued East Baltimore bar whose license was revoked, Fogleman acknowledged that the revocation was quietly reversed in December by the commissioners “meeting in the back” at a non-public session. Two prominent members of the Greektown community, one a priest, the other the chief of police for the Maryland Transit Administration, wrote letters on behalf of the licensee. Another recent case involved Voltage, the huge dance club in southeast Baltimore. It’s license was revoked amid reports of fighting, shooting and underage drinking, but then revived in a deal worked out by the board, community and the licensees’ lawyers. “Most, if not virtually all reconsideration requests were not considered on the record, by meetings with minutes or in any other formal/conventional setting,” Daniels said in the affidavit. He also noted that reconsideration could “remain unanswered for prolonged periods of time” in “politically sensitive” cases. Law or a Squishy Guideline? The issue of the 180-day being scrupulously followed – or flagrantly ignored – is another practice for which the board has been long been criticized. Lately, the Community Law Center, which represented the Abell Improvement Association in the Northside case, has been finding (and publicizing in its “Booze News” watchdog blog) multiple examples of this problem, which was also cited by the state auditors in their March 2013 audit. The center been wrangling in court over a legal interpretation of the rule. The Law Center has identified, and The Brew has reported on, “zombie” liquor licenses allowed to remain active for years past the shut-down date of the business.